Give the gift of fondue! 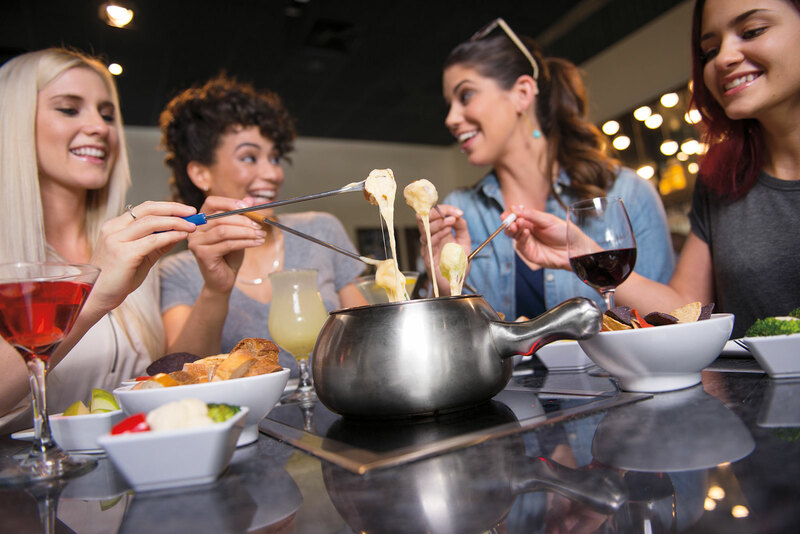 If you're looking for gift ideas, show some Melting Pot love by giving the gift of fondue. Everyone loves receiving a gift card and our other fun fondue products! Shop The Melting Pot online and find your next fondue gift. Most of our gifts are also available at a location near you. Fondue is always in good taste! Whether it's to congratulate the happy couple, to celebrate a milestone birthday, or just as an unexpected thank you gift, a Melting Pot gift card is always perfect for any occasion. A Moscow Mule wouldn't be complete without The Melting Pot Mule Mug. Enjoy a hug from our soft stuffed teddy bear with a Melting Pot bow. Dip your favorite treats into piping hot chocolate or drizzle it on cakes and desserts. Like our Cookbook and Garlic & Wine Seasoning, see the ways to take The Melting Pot home wth you!